Moya Mzuri Nana Yaa Offeibea Pambeli is a member of the All-African People’s Revolutionary Party (A-APRP) and is currently serving on the Central Committee of the A-APRP as the Coordinator of the All-African Women’s Revolutionary Union (A-AWRU) for the U.S. Region of the A-APRP. Sister Mzuri is a long time activist and coalition builder. Some of her coalition work has included the Black August Los Angeles coalition (Political Prison Campaign), the Pan-African Diaspora Union (PADU) – Sixth Regional representing the African Diaspora, preparing to join the African Union. She has done political work and coordinated various tours and campaigns for and with a wide variety of revolutionary organizations, including the Pan-Africanist Congress of Azania (PAC-A), the African Party for the Independence of Guinea and Cape Verde (PAIGC) and its Youth Wing JAAC (Amilcar Cabral African Youth), the African National Congress (ANC), Black Panther Party (BPP), Four Directions Indigenous Nations, Eritrean People’s Liberation Front (EPLF) among others. 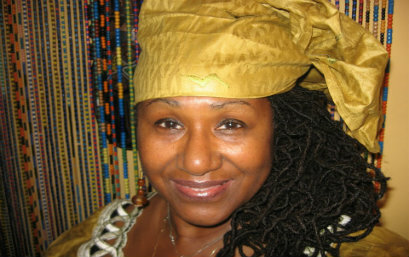 Moya Mzuri Pambeli has coordinated Pan-African Women’s Day (PAWD) celebrations in Los Angeles (commemorated in August each year) for over 20 years. She has recently developed and serves as administrator of a website focusing news and views of African women all over the world, called Revolutionary African Women, RAW. Moya Mzuri Pambeli is a part of the Culture Workers Bureau and she is one of the Featured Speakers for Black History Month.